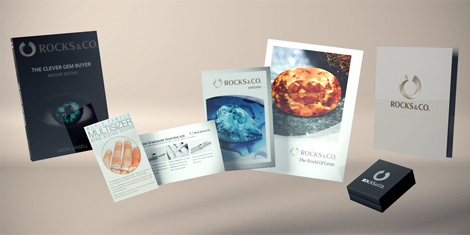 General information | Gemstone information at Rocks & Co.
Back Home Gemstone Information General information | Gemstone information at Rocks & Co.
"Beauty, durability and rarity; such are the three cardinal virtues of a perfect gemstone. Stones lacking any of them cannot aspire to high place in the ranks of the precious stones." Though mineral or organic materials might be worn for personal adornment, a gem is only a gem when it is beautiful, durable and rare. Occurring entirely by chance, gemstones truly are amazing miracles of nature. While anyone can appreciate the aesthetic beauty of gemstones, even a basic understanding will make owning gemstones much more rewarding. In my experience, most people are far more comfortable buying Diamonds than coloured gems, and I guess this isn't surprising considering the amount of money the Diamond industry has spent on advertising. But when it comes to coloured gemstones, most people are unsure what's available, let alone how to determine value. Sure, they might be able to rattle off a few birthstones and some of the more well-known varieties, but unless they or someone they know is 'into' coloured gems, their knowledge barely scratches the surface. This is a pity because it's easy to become a clever gem buyer. Coloured gemstones often give a 'big bang' of colour for a reasonable price and many are actually far rarer than Diamonds. 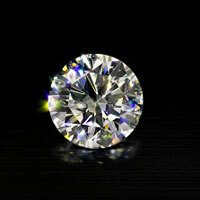 Thanks to Diamonds, most people have at least a fleeting recognition of the 4Cs (colour, cut, clarity and carat weight). The 4Cs are a good way to describe beauty in gemstones; they give us an easy value guide to what initially seems like very complicated territory. While the 4Cs are a strong foundation, there are other factors that also need to be considered when purchasing gemstones. We'll cover these below, including their relative importance and interrelationship to a gemstone's final value. It will come as no surprise that colour is the single most important factor when assessing coloured gems. As a percentage, it is estimated that colour contributes to about 50 percent of a gem's final value. Size (carat weight), cut and clarity all directly impact a gemstone's colour. Considering its importance, I've devoted an entire section to colour click here. "The cut is subjective and may have little or no effect on the buying price". I disagree, ranking 'cut' as the second most important C. Why? Even if a raw gemstone crystal has excellent colour, poor cutting can negatively affect how this colour is communicated to the eye in the finished gem. Inversely, a raw crystal with an average colour can be accentuated by good cutting. Skilful cutting can also reduce the impact of inclusions (see below) by placing them in locations not immediately visible. Please do not underestimate the importance of a gemstone's cut. Much like colour, cutting is so important that it has its own section, starting on. 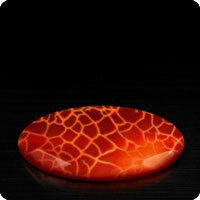 Inclusions that don't interfere with the brilliance, scintillation (sparkle) and fire of a gem, do not affect its value. Transparent gems allow transmitted light to clearly pass through. Objects can be seen through a transparent gemstone and examples include Sapphire and Tanzanite. As it directly affects the communication of colour, the degree of transparency and brilliance is crucial in determining the value of transparent gems. 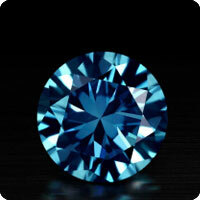 Type I: These gems grow extremely clean in nature and usually have no eye-visible inclusions, for example Aquamarine. Type II: These gems typically grow with some minor inclusions in nature that may be eye-visible, for example Ruby. Type III: These gems typically grow with many inclusions in nature and they are usually eye-visible, for example Emerald. Not all gems have been 'type' classified by the GIA, only the more prominent gems at the time of developing the system. Translucent, opaque and cabochon cut gems are not 'type' classified. But whatever you do, please do not incorrectly deduce that a Type III gemstone is inherently inferior to a Type I gemstone. All things being equal, the bigger the gem, the higher the value. In general, colour and/or optical phenomena, such as colour change or play of colour, is more visible in larger gemstones. Gemstones are traditionally weighed in carats (1 carat = 0.20 grammes/200 milligrammes). For gemstones weighing less than 1 carat, their weight is expressed in units that are 100 times smaller, known as points (e.g. 50 points = 0.5 carats). Originating in the bazaars of the Far East, where carob seeds were once used to weigh gems, carat weight was standardised as one-fifth of a gramme in Europe in 1907. 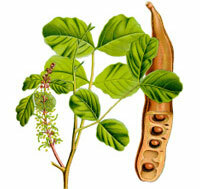 But why did the ancients use carob seeds to weigh gems? They were selected because of their consistent size and weight. Please don't confuse 'carats' with 'karats'. Karat measures gold purity and is only related to 'carat' from the use of carob seeds to weigh the alloys added to pure gold. In the United Kingdom gem 'carat' weight and gold 'carat' purity are both confusingly spelt with a 'c'. Bigger gems are always rarer than smaller ones. A 4 carat gem is always worth far more than four 1 carat gems of the same quality. However, a group of smaller gems will cost more than a single gem of the same carat weight if the cost to facet the individual gems outweighs the difference in price. Due to their comparative rarity, pairs or rows (suites) of matched gems are more highly valued than single gems of the same size and quality. In my mind, the fifth C is 'country' of origin. Much like brand names in sportswear, gemstones with a historical pedigree rich in legend and lore are sometimes valued more highly than gemstones that don't have any historical connotations. But this is not always true, for example, the coveted Paraíba Tourmaline was only discovered in 1989. In an article in 'Coloured Stone' magazine, Editor-in-Chief David Federman says: “Hallowed origins such as Kashmir and Mogok, Burma, are pivotal value factors when pricing Sapphires and Rubies that can make as much as a 40 percent difference in their value”. While this might make sense if all things were equal and the origin reliably certified, please remember to use your eyes! Paying a premium for an otherwise low quality gem simply because of pedigree has always seemed absurd to me. The country of origin never denotes quality; good and bad qualities are found in every deposit. Sure, some sources are noted for producing more good quality gems than others, making their origin quality indicative, but this is never an absolute. 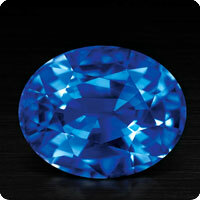 For example, not all Sapphires from Sri Lanka are of suitable quality to warrant the 'Ceylon' moniker. For me, origin is a collectable curiosity, an interesting attribute that definitely adds to the appeal of gemstones, but not something that is going to make me want to own a gem I don't find attractive. Let's face it, people are becoming increasingly well-informed about global social and environmental issues and in my mind, this is definitely a good thing. At the end of the day, gemstones are pure emotion, and the last thing anyone wants to feel are negative emotions associated with the suffering of others. Accordingly, the sixth C is the 'confidence' that comes from knowing your gems are from legitimate sources not involved in funding conflict or terrorism. With respect to Diamonds, this is largely a given thanks to United Nations resolutions and the Kimberley Process (www.diamondfacts.org). With coloured gemstones, always check with the seller. Hardness is the ability of a gem to resist surface scratching (Mohs' Hardness Scale). Toughness is the ability of a gem to resist the development of fractures (random non-directional breakage) or cleavage (splitting along well-defined planes). Please note that toughness and hardness in gemstones can be mutually exclusive. Just because a gemstone is hard, it is not necessarily tough and vice versa. Stability is the ability of a gem to resist physical or chemical damage. By their very definition all gems are rare, but just like in George Orwell's 'Animal Farm', some gems are rarer than others. When buying gems always try to understand why a gem is 'rare', failing to do so makes it lose relevance, becoming a throwaway term. I always cringe when I hear jewellery salespeople endlessly rabbit on about 'rarity' without any contextual qualification. If rarity is worth mentioning, it is certainly worth qualifying. For example, Tanzanite is 1,000 times rarer than Diamonds. Rarity can be described in three, often unrelated, ways: geological, marketplace and comparative. Just because a gem is geologically rare, this doesn't always mean it has a higher value in the marketplace and vice versa. Beauty, marketing and name recognition also play a big part. Just look at Diamonds. Rarity can also be a double-edged sword, sometimes it jeopardises a gem's commercial viability, for example Tsavorite. Just as nobody in their right mind would call their loved one 'semi beautiful', why oh why, do people still call some gemstones 'semi precious'? Derived from the French 'pierres precieuse', the traditional 'precious gems' are Emerald, Diamond, Ruby and Sapphire. When other gemstone varieties gained popularity they also needed a name. For some reason, the industry settled on 'semi precious' and has regretted it ever since. Today, 'semi precious' is regarded as out of date and misleading. This is because it undersells these gems and is no longer a true expression of value. For example, some Rubies can sell for less than $100 per carat, while a fine Paraíba Tourmaline can sell for over $30,000 per carat. That seems pretty precious to me! To make sure each gemstone reaches its full potential, lapidaries and jewellers employ a variety of techniques. Some of these, like cutting and setting, are immediately visible, while others, such as enhancements or treatments, remain relatively unknown despite being used for thousands of years. 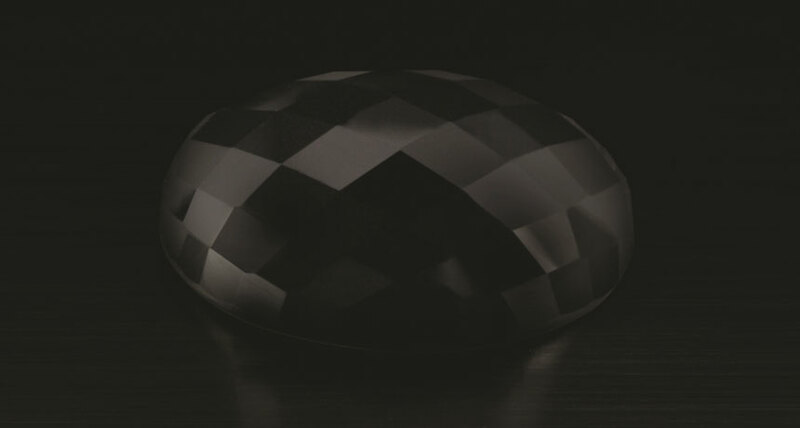 Visit click here to learn about acceptable enhancements applied to each gem variety, their frequency, and any special care instructions. Lustre is the amount of light that is reflected from a gem's surface. Adamantine is the very bright and reflective lustre displayed by Diamonds. It is derived from the Greek root word for Diamonds 'adamas', meaning 'unconquerable', which is certainly appropriate for the world's hardest natural substance! Sub-adamantine is occasionally used to describe gems with a lustre close to Diamond, such as Alexandrite and Demantoid. While there are other mineralogical terms to describe lustre, these have been omitted because they are of little importance to your everyday appreciation of gemstones. Brilliance is the amount of light (i.e. body colour) that is reflected from a gem's interior. Brilliance is dependant on a gem's optical properties (click here for more), cutting (critical angle), colour, transparency, clarity, polish, lustre and wear. Fire also known as dispersion, is the splitting of light into its component colours. This gemmological feature adds both beauty and value. While all gemstones of a large size exhibit fire, the most dispersive gemstones ranked in order are Sphene1, Demantoid2, Diamond3 and Zircon4. Sphalerite has more fire than all these, but as a rare exotic gemstone restricted to specialist collections it is not included on most lists.